Cuban jobs fall into two categories, based on whether you work for the government or work for yourself. Since the Revolution in 1959, the majority of Cubans work for the state government. They are educated for free, but the state expects a return. It dictates where they will work and sets their pay for life. 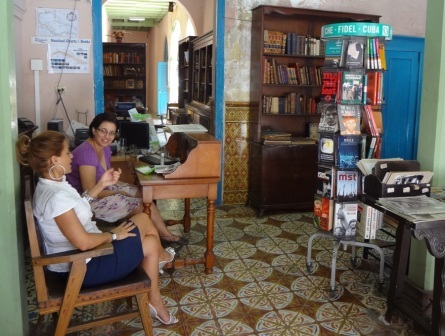 If you enter a place of work in Cuba, you will not find a beehive of activity. With no possibility of financial reward, apathy takes hold in the workplace. Those who work in tourism, especially hotel and restaurant workers, form a separate class. Many Cubans leave their low-paid positions as a teacher or doctor to work as a taxi driver or waiter so their children can have shoes and medicine. With good tips, they can shop in dollar stores for coveted household goods and brand name clothes. The black market (known as the bolsa) takes up the slack where the state fails to provide. Cubans who work in an establishment where the goods are not nailed down will steal and re-sell on the bolsa. Some go door-to-door, wearing coats with special inside pockets to display their goods. Others walk the streets with their wares or sell from doorways.